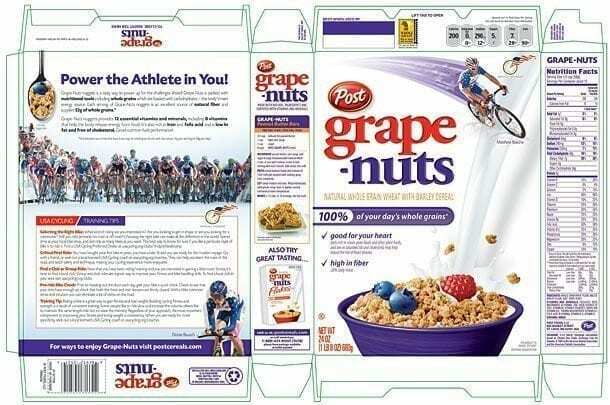 USA Cycling and Post Foods, LLC announced the release of a USA Cycling-branded Grape-Nuts cereal box. More than 7.5 million of the specially-designed boxes are scheduled to hit store shelves nationwide by the end of April. Featuring images of USA Cycling Professional Road National Champion Matthew Busche (Wauwatosa, WI/Team RadioShack-Nissan-Trek) and track cyclist Dotsie Bausch (Irvine, CA/OUCH Pro Cycling), the box offers training tips, how to find a club and information on how to get started in cycling. “We’ve already received a lot of positive feedback from our partnership presence at the National Championship Events so we cannot wait to propel the momentum with Grape-Nuts USA Cycling packages hitting store shelves this month,” said Sunny Ekmahachai, Senior Promotions Manager at Post.